The Eddy County Sheriff’s Office and Artesia Police Department returned a stolen motorcycle to its owner Monday after it was found abandoned along U.S. 285. Just after 5 p.m. Monday, deputies were dispatched to U.S. 285, mile marker 39, in reference to an abandoned motorcycle. Upon running the VIN, the bike was discovered to be stolen out of Artesia. APD detectives were notified and contacted the motorcycle’s registered owner, who claimed the bike after DNA samples were collected and turned over to the APD. 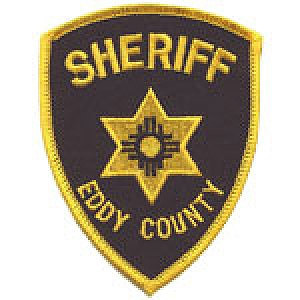 Also Monday, around 9:40 p.m., ECSO deputies were dispatched to West Blevins Road in reference to a fight in progress. The reporting party indicated one of the individuals involved may have had a gun, but no firearm was found. Four males were found to have been involved in an argument that escalated into a physical altercation. Criminal Trespass Warnings were issued against three of the males, and one was arrested on an outstanding warrant.